The evidence is inexorably mounting that the climate alarmists have been taking us all for a ride. It is only be a matter of time before their agenda is exposed as one of the biggest con tricks of all time. Thus they are already scrambling to breathe new life into the CO2 emissions scare. 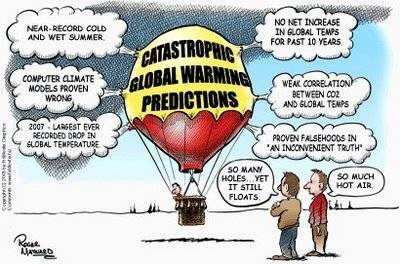 It will become obvious (by the passage of years if nothing else) that increasing carbon dioxide in the atmosphere does not, after all, cause any significant climate change, thus it will be necessary to blame CO2 (and hence man) for some other catastrophic event. So, prepare yourself for the coming â€œocean acidificationâ€� scam. Each one of us dumps a tonne of carbon dioxide into the oceans every year, turning them into acidified soups â€” and threatening to destroy most of what lives in them. Human pollution is turning the seas into acid so quickly that the coming decades will recreate conditions not seen on Earth since the time of the dinosaursâ€¦The rapid acidification is caused by the massive amounts of carbon belched out from chimneys and exhausts that dissolve in the oceanâ€¦the pH of surface waters, where the CO2 is absorbed from the atmosphere, has fallen about 0.1 units since the industrial revolution, though it will take longer for the acid to reach deeper water. Note the continual use of the word acid. Yet there is not the slightest possibility that seawater will turn to acid, or even become mildly acidic, so this is drivel. Note also the claim that pH has changed by 0.1 units over the last 200 years: it was not possible a hundred years ago, never mind 200 years ago, to measure pH to the accuracy necessary to support that assertion, so itâ€™s just posturing. Finally, notice that CO2 is branded â€˜human pollutionâ€™, though CO2 is an entirely natural and absolutely essential nutrient for plant photosynthesis, without which all life on earth would certainly become extinct very quickly. As an aside, we should note that if lower alkalinity per se were so unfavourable to shellfish as is claimed then we would have no freshwater shellfish and snails â€“ but we do. The freshwater mussel has lived for thousands of years in waters that are genuinely acidic and with highly variable pH, not only seasonally, but geographically. With spring snowmelt and high rainfall, the pH of rivers and lakes can fall to below pH 5, and experiments have shown that mussels can survive this acidity indefinitely without any deleterious effects to their shells. 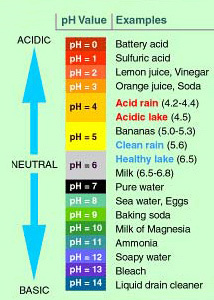 Note: a pH of 5 has 1,000 times as many â€˜acidicâ€™ H+ ions per litre as seawater, and 100 times more than pure water. This is not to say that sea creatures can survive in fresh water â€“ they are adapted to a radically different saline environment â€“ the point at issue is that the idea of a small change in ocean pH due to increased dissolved carbon dioxide having a deleterious effect on marine shells of living organisms is not as obvious as the alarmists make out. Because this incomplete reaction was thought to be due to an insufficiently prolonged contact between carbon monoxide and the iron ore (confusing a problem with equilibrium with that of kinetics), the dimensions of the furnaces have been increased. In England they have been made as high as thirty meters. But the proportion of carbon monoxide escaping has not diminished, thus demonstrating, by an experiment costing several hundred thousand francs, that the reduction of iron oxide by carbon monoxide is a limited reaction. Acquaintance with the laws of equilibrium would have permitted the same conclusion to be reached more rapidly and far more economically. Considerable cost was expended in redesigning furnaces to no benefit, because in the mid-nineteenth century they did not fully understand what became known as Le Chatelierâ€™s principle. Why cannot 21st century scientists properly understand the basics of physics and chemistry that were known over a hundred years ago? It is due to the corrosive influence of an atheist worldview: if all life in the universe, and all the complex processes on earth, came about by chance, then everything is a fluke â€“ itâ€™s just a one in a quadrillion chance that it all came right on the night. This gives rise to the mentality that the slightest disturbance will upset this highly improbable chance arrangement, so highly unstable systems and positive feedbacks are to be expected and feared. Anthropogenic catastrophism thus flows naturally from atheism, and belief in anthropogenic catastrophism feeds atheism. However, in a worldview that holds that the universe and all life was purposefully designed then one would expect there to be very strong negative feedbacks and ultra-stable systems, because this is what a good designer would do â€“ design extremely robust systems with extremely robust processes for extremely complex organisms that are to flourish for thousands of years. Of course, this is what we actually find in the cosmos whatever our worldview. But as the religion of atheism gains ground amongst scientists, it not only colours their outlook and what results they expect to find, and what evidence they suppress, it also (as illustrated on the posts of this blog) seems to corrode their understanding of basic scientific principles. The theory behind the â€˜toxic ocean acidificationâ€™ scam proceeds like this: as the concentration of CO2 in the atmosphere increases, the concentration in the oceans also increases due to dissolution [true â€“ all other things being equal]. CO2 dissolved in water reacts with water to form carbonic acid, making the seas acidic [a half truth â€“ they become very slightly less basic]. This acidity dissolves the shells of marine life causing mass extinction [an utter falsehood]. As a matter of fact, seawater is alkaline and basic. Dissolving the carbon dioxide from all the worldâ€™s known fossil fuel reserves would never make the sea acidic. The climate alarmists coined the phrase â€œocean acidificationâ€� to make it sound alarming, whereas the process is actually what is known as neutralization. The term â€˜acidificationâ€™ of course sounds more scary than talking about the oceans becoming slightly less basic or a little more neutral. To put this into perspective, the pH of seawater is, on average, around pH 8.2. Pure water is pH 7.0, and clean rainwater is pH 5.6. What is more, seawater is a highly buffered solution â€“ it can take up a huge amount of dissolved inorganic carbon without significant effect on pH. There is not the slightest possibility that the oceans could approach the neutral pH of pure water even if all the fossil fuel reserves in the world were burned, so all talk of â€˜acidâ€™ oceans is utter nonsense. What sort of change are we talking about? Possibly a change of pH of 0.2 units this century, say from 8.2 to 8.0. That would mean by definition that the concentration of the â€˜acidicâ€™ H+ ions would still be no more than 10% of their concentration in pure water. The so-called science behind this â€˜acid oceanâ€™ scare is highly questionable. Firstly, an increasing concentration of CO2 in the water improves the efficiency of photosynthesis in the oceans (as it does on the land), and so increases the growth of plant life in the ocean, including phytoplankton, upon which â€˜grazeâ€™ zooplankton, which is food for a vast range of sea animals, including whales. Secondly, itâ€™s not possible through lifeless inorganic chemistry to predict what is happening with living processes. Fish pump huge quantities (hundreds of millions of tonnes annually) of available carbonate in the oceans as a byproduct of the systems that enable them to survive in high salinity. This is using the energy of life processes to buck the normal dissolved inorganic carbon equilibria. The calcium carbonate of dead calcifying organisms dissolves naturally in seawater. What stops a sea creatureâ€™s shell from dissolving away is the living creatureâ€™s continually producing more calcium carbonate, just like a land animal continually produces skin cells to replace those that are lost to the environment. Add more CO2 at the left and the reaction proceeds to a greater or lesser extent to the right. Most of the additional carbon ends up as bicarbonate. Note that as the reaction is driven to the right by the dissolution of additional CO2 there is increased production of H+ ions, so acidity is increasing (= decreasing pH). Fourthly, the situation is completely different from the case where pH is artificially lowered by adding, say, hydrochloric acid, where there would be no addition of dissolved inorganic carbon. Unfortunately, many scientists have failed to understand this basic chemistry and have conducted crude experiments on shellfish by adding mineral acids to seawater. Whilst this duly lowers the pH, it drives the equilibrium reactions in the opposite direction, so is completely invalid as an experimental model. In the equilibrium equation above, introducing mineral acid (which introduces no additional dissolved inorganic carbon) adds H+ ions on the right of the equilibrium equation, which drives the reaction to the left. The increase in H+ ions (equivalent to lower pH), arises because the experimenter is tipping in mineral acid and is thereby forcing the reaction drastically to reduce carbonate and to increase dissolved carbon dioxide, which will come out of solution into the atmosphere as bubbles, decarbonizing the seawater. But if increasing atmospheric CO2 is the driver, the reaction is forced the other way; if mineral acid is the driver, the pH goes down and carbonates and possibly bicarbonates also go down. Looking at pH alone tells us absolutely nothing about the concentrations of carbonates, bicarbonates, dissolved CO2, equilibria, reaction rates or reaction directions. At the very least we also need to know the amount of dissolved inorganic carbon. Moreover, calcium carbonate dissolves in alkaline seawater (pH 8.2) 15 times faster than in pure water (pH 7.0), so it is silly, meaningless nonsense to focus on pH. At pH 8, seawater is supersaturated with carbonate. Why does this excess carbonate not precipitate out as calcium carbonate, since there are so many free calcium ions in the water? This seldom happens because of the presence of magnesium ions in seawater that preferentially ion pair with the carbonate in solution. With ion pairing, the reaction moves further to the right than would be the case without magnesium ions, yet without precipitation of magnesium and calcium carbonate salts, and this ensures there is an abundance of dissolved carbonate ions available for living organisms in spite of the low alkalinity. Moreover, phosphorus and dissolved organic compounds permit high levels of carbonate to exist without precipitation. Seawater is a truly marvelous and complex chemical system, which includes non-volatile borate, phosphate and silicate buffers. Increasing CO2 partial pressure in a CO2/carbonate equilibrium will always drive the reaction towards the production of more dissolved inorganic carbon, irrespective of any associated reduction in pH arising from the shift in equilibrium itself. So if atmospheric CO2 increases, leading to increased dissolution of CO2, we can be sure that there will be a higher concentration of available carbon â€“ the complete opposite of what the scare mongers are telling us. It seems that those creating the â€˜ocean acidificationâ€™ scare would like us to believe that a reduction in pH is analogous to tipping mineral acid in the oceans, which would indeed be damaging, and would liberate CO2 from the oceans and decarbonize it, whereas the effect of increasing dissolution of CO2 is beneficial both to marine plants and animals. The reasoning in the Royal Societyâ€™s paper (and many others) is that because addition of carbon dioxide causes more acidity, the increasing H+ ions will eventually force the reaction to the left. But where are the H+ ions coming from in the first place? As a result of the reaction moving to the right! The reasoning of this Society is that as the reaction proceeds to the right and liberates H+ ions it must subsequently swing back to the left (which would create higher CO2 in the water as well). Equilibrium processes donâ€™t work in unstable, oscillatory ways, and canâ€™t pull themselves up by their own bootstraps: the H+ ions that are generated from addition of carbon dioxide become a significant brake on the reaction proceeding to the right, and a new equilibrium point is reached with lower pH. Of course, the above equation showing the chain of reversible reactions doesnâ€™t specify absolute concentrations. Seawater is a complex system, and whether carbonates increase or decrease in concentration with increasing dissolution of carbon dioxide requires careful analysis, the solution of many simultaneous equations, and knowledge of other systems such as magnesium and borates, as well as ion pairing. Whilst the relative concentration of CO32- (carbonate) with respect to the increasing concentration of HCO3- (bicarbonate) can reduce with increasing dissolved inorganic carbon, it is not obvious what happens to the absolute concentration of carbonate as more CO2 dissolves. For example, consider a beaker of pure water, pH 7.0. The beaker contains nothing but H2O molecules and its dissociated ions H+ and OH-. If carbon dioxide is bubbled through the water for some hours and the system left to rest and establish equilibrium the pH will go down, perhaps to pH 5. There will be now be some dissolved CO2, some bicarbonate ions and some carbonate ions in solution and many more H+ ions than there were before. Carbonate ions have thus increased because there were literally none before, yet pH has gone down and the absolute quantity of H+ ions has increased considerably. So, in absolute terms, carbonate ion concentration can increase as dissolved CO2 increases even though pH has reduced. Notwithstanding, many studies modeling seawater in its usual composition, salinity, temperature and pressure, show some decline in carbonate with increasing dissolved inorganic carbon. But we are inclined to say â€˜so what?â€™ Of the various dissolved carbon species, bicarbonate is typically dominant as the form in which the carbon exists, and since it is bicarbonate ions (not carbonate ions) that are used to form calcium carbonate shells, then we would expect biological pumps to find increased bicarbonate concentration very advantageous. Why should we care what happens to carbonate concentration? From our understanding of ocean chemistry and available evidence, it is clear that increasing the acidity of the oceans will reduce the concentration and therefore the availability of carbonate ions. It is expected that calcifying organisms will find it more difficult to produce and maintain their shells and hard structures. This makes the â€œavailability of carbonate ionsâ€� a moot point, but you are not supposed to pick up on this false logic. Of course, by removing some dissolved inorganic carbon to form shells, calcifiers are reducing the total alkalinity of the oceans, depositing more carbon dioxide in the oceans, and reducing the pH of the oceans. So what would be evidence that calcifiers were thriving? Reducing pH in the oceans and either a slower uptake from or even an outgassing of CO2 into the atmosphere, i.e. â€œocean acidificationâ€�! Calcifiers use biological pumps to drive the reaction to the right to build calcified shells using the superabundant calcium ions and the abundant bicarbonate ions, liberating dissolved carbon dioxide and water, and thus reducing ocean pH. It is widely assumed that if dissolved CO2 increases in the ocean due to increased atmospheric concentration, it makes it increasingly more difficult for life processes to move the reaction to the right because the equilibrium is shifting adversely. And as dissolved CO2 increases then it must push the reaction to the left, dissolving calcium carbonate along the way. So we are allegedly faced with the spectre of a greater difficulty for organisms in laying down calcium carbonate, coupled with a greater propensity for dissolution of the carbonate they have already produced as shells â€“ a â€˜double whammyâ€™. Most models assume that the calcifying fluid is isolated from external seawater. This is supported by microelectrode observations that show that the pH of the calcifying space is elevated relative to external waters (as high as 9.3) (Al-Horani et al., 2003) and by the well-known fractionation of oxygen and carbon isotopes in the calcifying fluid. We could also observe that as DIC increases and the concentration of bicarbonate increases, which is the precursor used in the calcification process as above, then biological pumps have an easier time of it. Thus as shown in the quoted articles below, many calcifiers including corals benefit from higher atmospheric concentration of CO2 dissolving in the oceans. Metabolically, they also benefit from increased [H+]. As far as dissolution of shells is concerned, this is a pretty slow process. In living organisms there does not seem to be any detrimental effect because calcium is continually deposited. The main changes that seem to have been measured are slightly faster dissolution of shells after the death of the organism. And who cares about that? â€¦the lack of a clear understanding of the mechanisms of calcification and its metabolic or structural function means that it is difficult, at present, to reliably predict the full consequences of CO2-induced ocean acidification on the physiological and ecological fitness of calcifying organisms. â€¦we have investigated the effect of CO2-induced acidification on the ability of a calcifying organism (the ophiuroid brittlestar Amphiura filiformis) to regenerate calcium carbonate structures (arms). One of the most surprising results is that there was no decrease in the total amount of calcium carbonate in individuals exposed to acidified water. Indeed, individuals from lowered pH treatments had a greater percentage of calcium in their regenerated arms than individuals from control treatments, indicating a greater amount of calcium carbonateâ€¦In regenerated arms, calcium levels were greater in those organisms exposed to acidified seawater than in those held in untreated seawater. This was true for all three levels of acidified seawaterâ€¦there was actually an increasing rate of calcification with lowered pH. Calcium carbonate in established arms was also affected by lowered pH. At pH 6.8, calcium levels increased and at pH 7.7 and pH 7.3, calcium levels were equal to the control indicating that A. filiformis actively replaced calcium carbonate lost by dissolution. Rates of oxygen (O2) uptake (as a measure of metabolic rate), or MO2, were significantly greater at reduced pHs (7.7, 7.3 and 6. than in controls (pH ; However, MO2 was not significantly different between the three lowered pH treatments. Increased rates of physiological processes that require energy are paralleled by an increase in metabolism; this relationship is seen with growth and metabolism here in our results. Seawater acidification stimulated arm regeneration. After the 40-day exposure, the length of the regenerated arm was greater in acidified treatments than in the controlsâ€¦This increased rate of growth coincided with increased metabolism. Regeneration was not affected by the number of arms removed, nor was there a significant difference in any of the physiological parameters measured as a result of having two arms regenerating instead of one. The ability to regenerate lost arms faster meant a reduction in the length of time animal function (e.g. burrow ventilation and feeding) was compromised by reduced arm length. Interestingly, even at high levels of hypercapnia (the 6.8 pH treatment crosses the threshold into acidic water, i.e. pH<7.0) investigated here, no mortality was observed. These results change the face of predictions for future marine assemblages with respect to ocean acidification. Whereas it was previously assumed that all calcifiers would be unable to construct shells or skeletons, and inevitably succumb to dissolution as carbonate became undersaturated, we now know that this is not the case for every species. The addition of 2 mM bicarbonate to aquaria containing tropical ocean water and branches of Porites porites caused a doubling of the skeletal growth rate of the coral. Nitrate or ammonium addition (20 μM) to oligotrophic sea-water caused a significant reduction in coral growth, but when seawater containing the extra bicarbonate was supplemented with combined nitrogen, no depression of the higher growth rate was evident. We infer that (1) the present dissolved inorganic carbon (DIC) content of the ocean limits coral growth, (2) this limitation is exacerbated by nitrate and ammonium, and (3) adding DIC increases coral calcification rates and confers protection against nutrient enrichment. Here, we present laboratory evidence that calcification and net primary production in the coccolithophore species Emiliania huxleyi are significantly increased by high CO2 partial pressures. Field evidence from the deep ocean is consistent with these laboratory conclusions, indicating that over the past 220 years there has been a 40% increase in average coccolith mass. Our findings show that coccolithophores are already responding and will probably continue to respond to rising atmospheric CO2 partial pressures, which has important implications for biogeochemical modeling of future oceans and climate. â€¦no observed declines in the abundance of calcifiers with lowering pH have yet been reportedâ€¦the role of pH in structuring zooplankton communities in the North Sea and further afield at present is tenuous. â€¦the ecosystem composition, bacterial and phytoplankton abundances and productivity, grazing rates and total grazer abundance and reproduction were not significantly affected by CO2 induced effects. No differences in soft tissue growth performance were measured between cuttlefish incubated at ~4000 and ~6000 ppm CO2 and controlsâ€¦Standard metabolic rates of cuttlefish exposed acutely to ~6000 ppm CO2 showed no significant increase or decrease over timeâ€¦there were no significant differences between the mantle lengths of control cuttlefish and those incubated at 6000 ppm CO2â€¦Interestingly, in the ~6000 ppm CO2 growth trial, the CO2 incubated animals incorporated significantly more CaCO3 [calcium carbonate] into their cuttlebones than did the control groupâ€¦Functional control of the cuttlebones (i.e. buoyancy regulation) did not appear to be negatively affected by low pH conditions. Gehlen, M., Biogeochemical impacts of ocean acidification â€“ emphasis on carbonate production and dissolution. CIESM workshop: Impacts of acidification on biological, chemical and physical systems in the Mediterranean and Black Seas, Menton, 1 â€“ 4 October 2008. Gutowska, M.A., PÃ¶rtner, H.O. and Melzner, F., Growth and calcification in the cephalopod Sepia officinalis under elevated seawater pCO2. Marine Ecology Progress Series (2008) 373: 303-309. Riebesell, U., Effects of CO2 enrichment on marine phytoplankton. Journal of Oceanography (2004) 60: 719-729. Richardson, A.J. and Gibbons, M.J., Are jellyfish increasing in response to ocean acidification? Limnology and Oceanography (2008) 53: 2040-2045. Vogt, M., Steinke, M., Turner, S., Paulino, A., Meyerhofer, M., Riebesell, U., LeQuere, C. and Liss, P., Dynamics of dimethylsulphoniopropionate and dimethylsulphide under different CO2 concentrations during a mesocosm experiment. Biogeosciences (2008) 5: 407-419. Wangersky, P.J., The control of seawater pH by ion pairing, Limology and Oceanography, Jan 1972. Wood, H.L., Spicer, J.I., and Widdicombe, S., Ocean acidification may increase calcification rates, but at a cost. Proc Biol Sci. 2008 August 7; 275 (1644): 1767â€“1773. Carbonic acid is the inorganic compound with the formula H2CO3 (equivalently OC(OH)2). It is also a name sometimes given to solutions of carbon dioxide in water, because such solutions contain small amounts of H2CO3. Carbonic acid forms two kinds of salts, the carbonates and the bicarbonates. It is a weak acid. 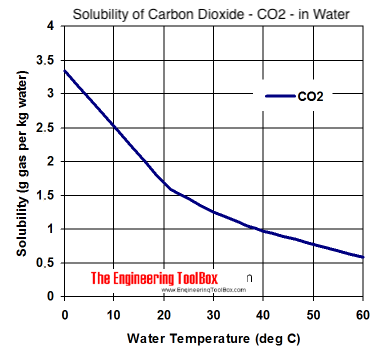 The hydration equilibrium constant at 25 Â°C is called Kh, which in the case of carbonic acid is [H2CO3]/[CO2] = 1.70Ã—10−3: hence, the majority of the carbon dioxide is not converted into carbonic acid, remaining as CO2 molecules. In the absence of a catalyst, the equilibrium is reached quite slowly. The rate constants are 0.039 s−1 for the forward reaction (CO2 + H2O → H2CO3) and 23 s−1 for the reverse reaction (H2CO3 → CO2 + H2O). Carbonic acid is used in the making of soft drinks, inexpensive and artificially carbonated sparkling wines, and other bubbly drinks. The addition of two equivalents of water to CO2 would give orthocarbonic acid, C(OH)4, which is unimportant in aqueous solution. So if atmospheric CO2 increases, leading to increased dissolution of CO2, we can be sure that there will be a higher concentration of available carbon â€“ the complete opposite of what the scare mongers are telling us. It seems that those creating the â€˜ocean acidificationâ€™ scare would like us to believe that a reduction in pH is analogous to tipping mineral acid in the oceans, which would indeed be damaging, and would liberate CO2 from the oceans and decarbonize it, whereas the effect of increasing dissolution of CO2 is beneficial both to marine plants and animals. Molecules of CO2 exchange readily with the atmosphere and on average only remain in the surface waters for about 6 years. â€¦ Surface oceans have an average pH globally of about 8.2 units. However, pH can vary by Â±0.3 units due to local, regional and seasonal factors.â€� The stated 8.2 Â±0.3 number does not match the figure they present shown above. This is a simple temperature-depth ocean water profile. You can see temperature decreases with increasing depth. Most of the solar radiation (light and heat) that hits the ocean is absorbed in the first few tens of meters of water. Waves and turbulence mix this heat downward quickly. The surface layer of the ocean is well mixed from the top to the bottom of that layer. The temperature of the surface waters (the mixed layer) varies mainly with latitude. The polar seas (high latitude) can be as cold as -2 degrees Celsius (28.4 degrees Fahrenheit) while the Persian Gulf (low latitude) can be as warm as 36 degrees Celsius (96.8 degrees Fahrenheit). The average temperature of the ocean surface waters is about 17 degrees Celsius (62.6 degrees Fahrenheit). There is a boundary between surface waters of the ocean and deeper layers that are not well mixed. The boundary usually begins around 100-400 meters and extends several hundred of meters downward from there. This boundary region, where there is a rapid decrease of temperature, is called the thermocline. 90 % of the total volume of ocean is found below the thermocline in the deep ocean. Here, temperatures approach 0 degrees Celsius. So even though surface waters can be a comfortable 20 degrees Celsius (good for swimming in! ), the majority of our ocean water has a temperature between 0-3 degrees Celsius (32-37.5 degrees Fahrenheit). The density of ocean water continuously increases with decreasing temperature until the water freezes. Ocean water, with an average salinity of 35 psu, freezes at -1.94 degrees Celsius (28.5 degrees Fahrenheit). At very high latitudes, ocean water can reach these low temperatures and freeze. Dissolved salts in the water tend to be rejected by the forming ice so that sea ice is only about 1 % salt. An interesting tidbit for those of you interested in survival tactics - because of the lessened amount of salt, melted sea ice would be fit to drink even if sea water is not! Sea ice formation at high latitudes ultimately drives circulation of the deep waters of the ocean. New evidence suggests that ocean acidification played a key role in the Permianâ€“Triassic mass extinction event 252 million years ago that killed most life on Earth. ,...The ocean acidification was driven by massive amounts of CO2 released from volcanoes. Only psuedo-scientists would believe this crap. Have you ever noticed that there are very few of these scientists that write this crap and are then torn down or ridiculed by their colleagues? WHY? Because they all have to make a living living off grants and governments. They know that they can write papers that no one understands--not even their own colleagues and STILL GET PAID. These rat bastards want for the wealthy countries to pay carbon taxes so that the scientists can do phony research. Another thing. I went to school a long time ago and never believed something happened 252 million years ago. There is NO WAY they can measure that. Carbon dating is fairly predictable but only up to 14,000 years ago. See how complicated the pseudo scientists make it? The oxygen is as simple as God could make it. Anything beyond the simple picture below, is worthless info. I'm still concerned about the oceans being used for radioactive waste dump sites which have been going on for decades, Fukishima being the latest. Sir Mark Walport warns that the acidity of the oceans has increased by about 25% since the industrial revolution, mainly thanks to manmade emissions. Scientists are debating how much oxygen loss is spurred by global warming, and how much is driven by natural cycles. Setting a mind mucking trend requires endless rhetoric, eventually it will become accepted if not for the competion - the reality. Environmentalist of the scientific community, ( mainstream sukups ) convenienetly avoid, radioactive waste, massive polution neglected and the mainstream promoting it is carbon. No suprise is it! These guys want to dance for the big dogs,to be in the club and suk up the Bennys..
Those honest will openly admit poultion and nuke waste are the no. 1 threat, though they may risk their entitlement to the club.